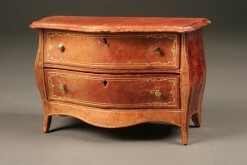 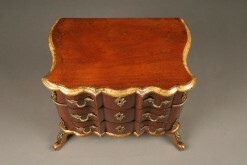 French Louis XV bombe miniature leather covered commode. 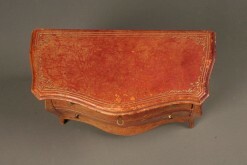 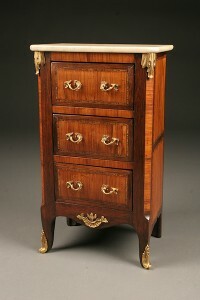 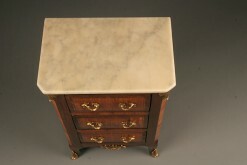 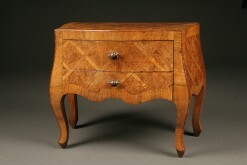 Directoire style guild piece signed and dated. 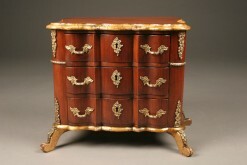 19th century Italian miniature chest. 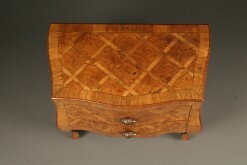 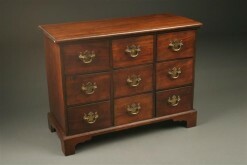 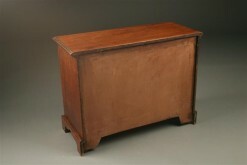 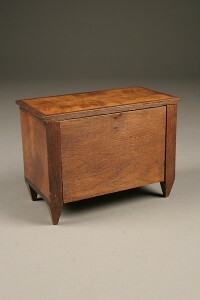 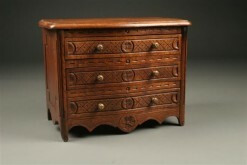 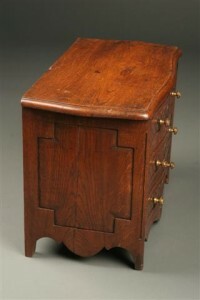 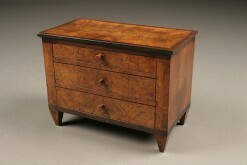 19th century French miniature chest.